BBC Radio 4 - You and Yours, First work day of the Olympics: can the transport cope? Is your ebook reader reading you? Find out how much data is gathered by ebook readers and what companies are planning to do with it. Plus, will the Olympic transport system cope? Travel chaos or business as usual? 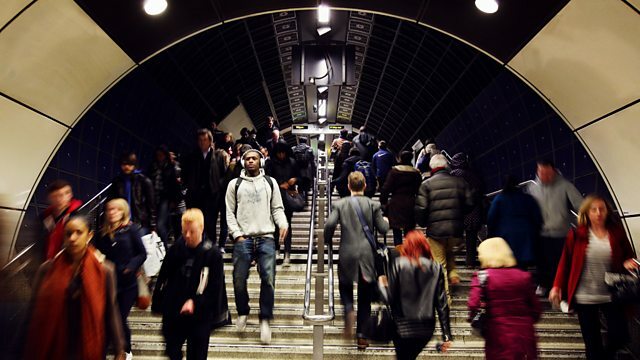 On the first work day of the Olympic Games, we hear from some of London's travel "hot spots" to find out how the transport system is coping with the influx of visitors. Ebook readers like the Kindle and Kobo might provide discretion as no-one can tell what you're reading but some ebook readers gather data about what you read. Author Joan Brady talks about her concerns about privacy when your ebook reader is reading you. The French rail company SNCF has launched a range of coaches travelling between the UK and France, hot on the heels of MegaBus's new service to continental Europe. Both companies hope to target cash strapped travellers with a luxury service but is there a market for posh coaches? And we hear from the "App Circus" where application developers have been pitching their ideas to industry insiders in a bid to be crowned the winner. Call You and Yours: Are you cheerful or cynical about the Olympics? Ebook readers may provide discretion as no-one can tell what you are reading but as you read, data is being downloaded. Is this a great resource for publishers or an invasion of privacy? Some families are arranging marriages for their disabled children to ensure they have care in later life. John Wait previews a Face the Facts on arranged marriage and disability. East London is the most recent destination for the "App Circus" a travelling competition where app developers can pitch their ideas. We find out what makes a winning app. French rail company SNCF has launched a new coach service, travelling between France and the UK. Is there a gap in the market for affordable international coach travel?